A citrus scent with thyme and woody notes. There are 49 reviews of Oyédo. An orangey opening mixed with a touch of lemon, a bit sweetened and not very bright, more like a lemon curd, is at the beginning of the top notes. Son this darkens a bit, with a herbal tone, mainly thyme, appearing in the middle phase. Then a crisp aroma of a metallic fizziness is added in, which is quite an unusual note that gives this composition a rather unique touch. This is followed by a woodsy development that makes an attempt at a sandalwood impression - the latter is not particularly successful. I get moderate sillage sillage, very good projection and nine hours on longevity on my skin. 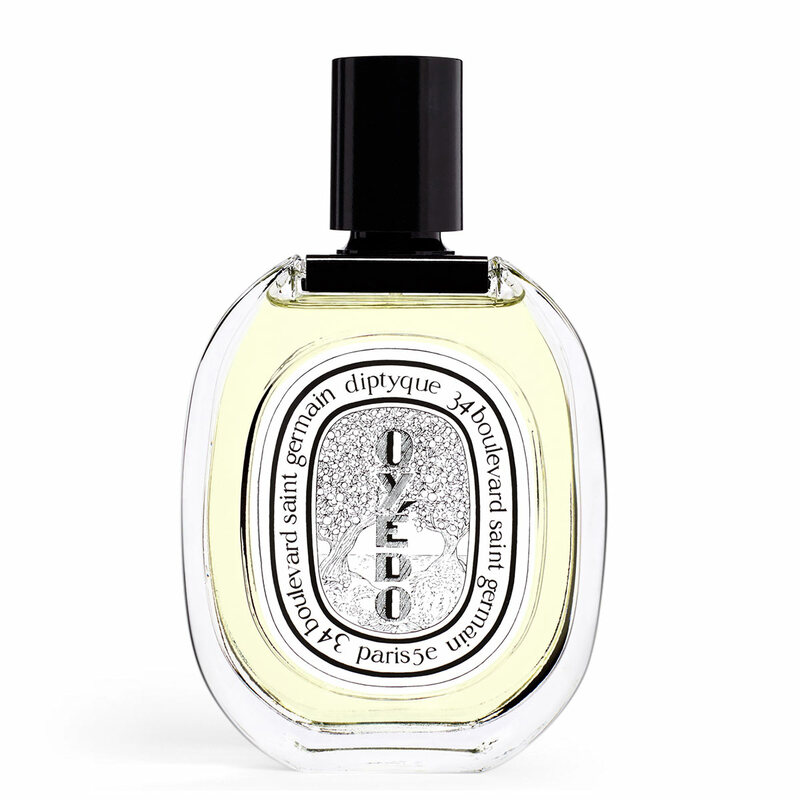 A spring scent with quite an original touch, wearable also on cooler summer days, which is marred by heart and base notes that are overly synthetic and at times too forced. Overall not bad due to an original approach, but short of being truly convincing. 2.75/5. An earthy sweet herbal citrus. First the blast of candied citrus (lime and mandarin), then a powerful blast of earth (as if you had fallen face down in the garden), which is the thyme blown up to mega proportions. Within five minutes, all has balanced out and I am left with a quite unique scent. Turin and Sanchez also point out the uniqueness of this creation. In the dry down there is a minty coolness that envelops the sweet citrus and earthy herbal notes. There is something so outdoors about this scent that is restorative on a winter's day, reminding one that summer will come. Very clever composition, both fun and staid simultaneously, and so far my favorite of the Diptyques. If you thought citruses were fresh and cooling, try Oyedo. This is the first heated-up citrus I’ve ever come across, and here I am wearing it on a day with driving snow drifting past my window and feeling quite snug. And no, there’s not a trace of mulled wine about it either, no gaga spicing to raise the temperature. 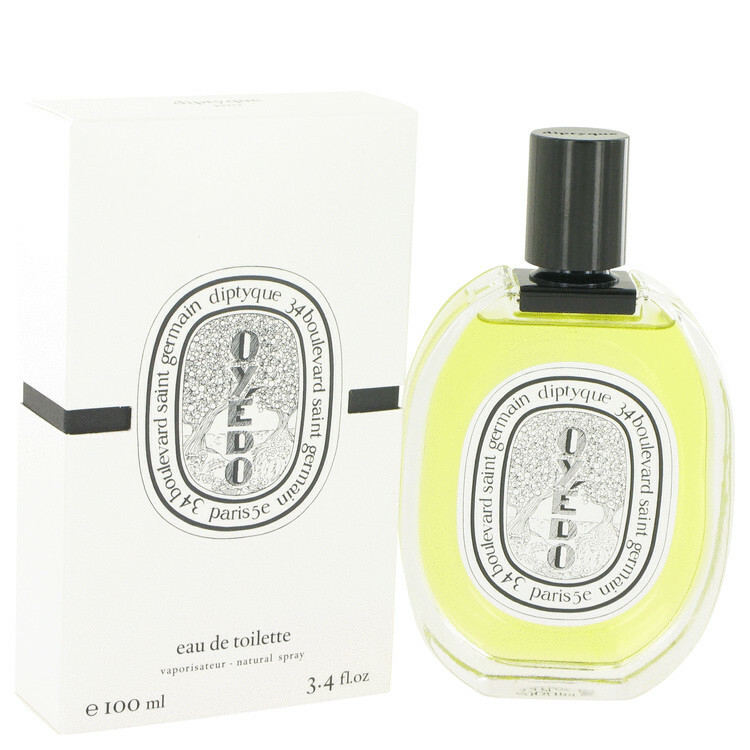 Oyedo is a supremely smooth creation marrying a chunky woods base (with a serious dose of sandalwood aromachemicals) to mixed citruses through the intervention of a perfectly integrated thyme note, and camphoraceous and turpy tones. It’s novel, bold, different, not a crowd pleaser – a bit like bonbons from high end chocolatiers with flavours like wasabi or bacon that revolt some and drive others wild. There’s a shimmer and haze about it, a creaminess, and yet the notes are punchy, even rough (in the case of the wood). The citruses do recede over time, leaving that woody base somewhat exposed, but for most of its life Oyedo is unusual fun. 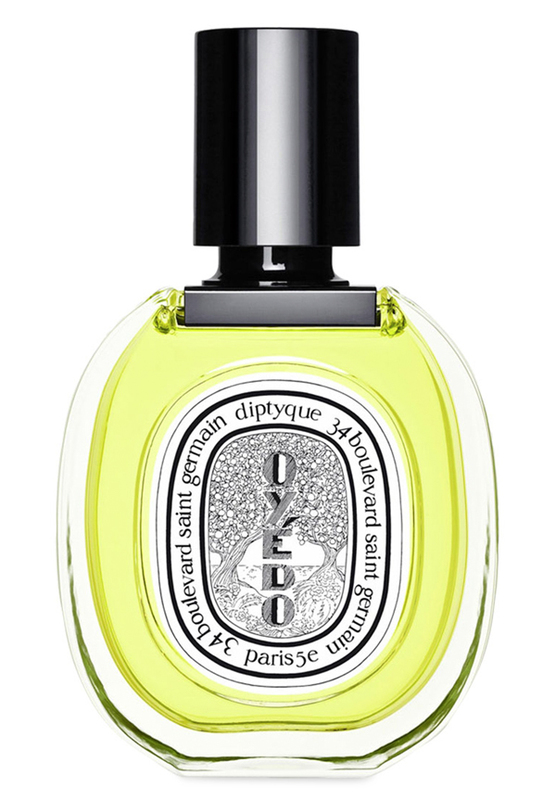 I hate saying this left a very synthetic impression on me...Im sorta disappointed because I expected Diptyque, to make more of an effort with this one. I would've never anticipated them making something that smacks of a far more generic scent, that may or may not be a cloaked, designer scent..or something that I couldve bought in a drugstore. Citral and linalool, basically your dishwasher's liquid. Bit of a fail for me.